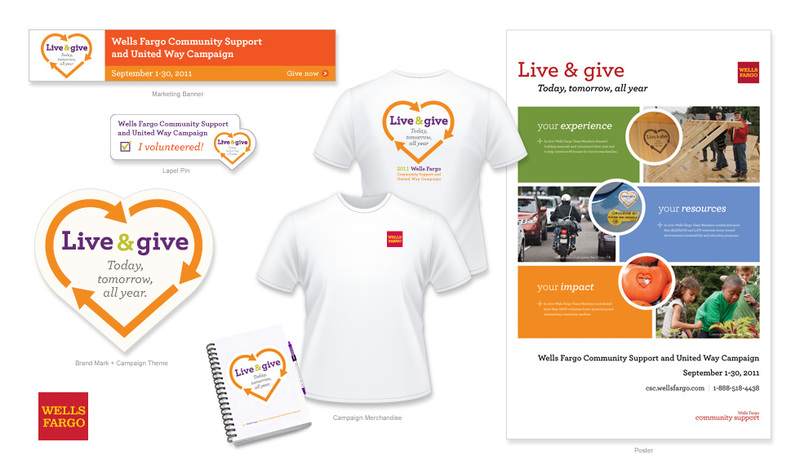 The Wells Fargo Community Support Campaign is an annual program focused on volunteerism and charitable donation in partnership with the United Way. A new campaign theme and identity is created each year to promote the month-long event to the company’s 285,000 team members. More than 80 individual marketing and collateral pieces are developed including posters, branded merchandise, print and digital communications, and event signage.